What Cars Do Dot Com Moguls Drive? 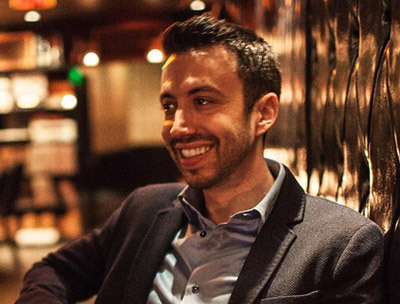 My friend, Kieron of Here.org.uk and WhiteCarWorld.com, recently interviewed some of the top business bloggers (including Shoemoney, John Chow Neil Patel and many others – even me) about their daily drivers and ultimate-if-money-was-no-object fantasy cars. It is a great read if you are a car-nut like me! Kieron is the proud owner of a white (of course!) Range Rover SE Supercharged. Sweet car, Kieron! Internet stars and their cars! I have been staying with my brother-in-law who drives the same landrover (super, sport) and I have driven it myself. If you’re the driver it is a great car, but everyone in the backseat will hate you for it. I am dreaming about purchasing 4 door Jeep Wrangler. Totally agree with Malcolm Cowley, this car is the one about the perfect ones. 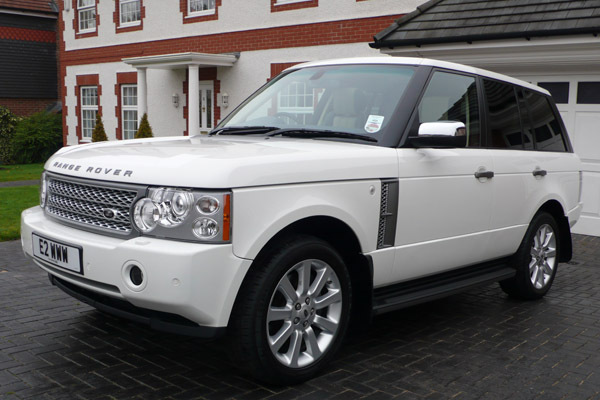 That Range Rover is one magnificent car. I am however surprised that a Mogul would use one of these! It is not quite what I would use if I were a Mogul! Mine would be more like a Rolls Royce! How about Ferrari? ha ha. Thanks for the post! Cheers Mastermind – I have to admit I love it!! Saw the website. Impressive cars. Some bloggers are driving better cars than many lawyers I know. I’m curious what kind of car more low-level internet celebs drive, like bloggers and YouTube stars. Wonder what kind of car Steve Peasley of InvestTalk ( http://blog.investtalk.com) drives – it better be a Toyota or Honda for all his talk of prudence! I see that everyone is still talking only in terms of gas guzzlers. How about thinking alternative vehicle for a change. I am sure if a ‘mogul’ could afford something like a Tesla Roadster or the Alias or ZAP-X that ZAP will be launching soon. If those are unaffordable then there is always the humble ZAP Xebra which is in production today! I see that everyone is still talking only in terms of gas guzzlers. How about thinking alternative vehicle for a change. I am sure if a ‘mogul’ could afford something like a Tesla Roadster or the Alias or ZAP-X that ZAP will be launching soon. If those are unaffordable then there is always the humble ZAP Xebra which is in production today. Amazing white cars, it;s dream to have one out of them. Range Rover gives dashing personality and looks like a royal rangers. This is awesome. I suppose even dot com Moguls cannot afford the Bugatti Veyron which is supposed to be the most expensive car in the world! The Range Rover is awesome, not easy on the gas but well worth it if you have the money. needs some nicer wheels but hell ya that’s nice. What about red range rover just like a red ferrari.. looks royal..
Nate, Nice to see UBD got you a sweet ride! From the works you’ve done for me i can certainly see why! The idea that dot com moguls all have fancy cars is quite appealing, but most of them are quite practical. With so much of noise about the cost of gas and other eco matters, I wonder whether this trend of fancy cars for Moguls will last for long! The Neil Patel car is SO Neil after having met him you can really understand why he is really down to earth, and things don’t matter. Nice car but it wouldn’t be the first I’d buy. I’m always interested in seeing how much these internet entrepeneurs earn and their lifestyles. I like Dave Naylers choice, the VW Campervan. I prefer silver color instead of white. I would be curious to see who among the internet stars does prefer riding a motorbike and viewing these images. Shouldn’t I have been featured with my red Lotus Elise? 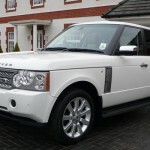 Has anyone bought a range rover sport recently ? And prefer silver color instead of white. The white car is really very nice, white colour is very rich and fantastic, when you keep your foot down and presently you notice in your rear view mirror a white car with a blue flashing light on top. Current car is a bashed up 1999 Seat Leon, lots of dents included. Never have any cash to waste on cars:) Not my love and do about 10 miles per week.